The recent storms, heavy winds and rain caused by La Niña on the west coast has wreaked havoc on front yards and knocked over a couple trees. However, on the mountians like Grouse, Seymour, Cypress and Whistler Blackcomb, the rough weather has dumped a significant amount of snow on the hills. 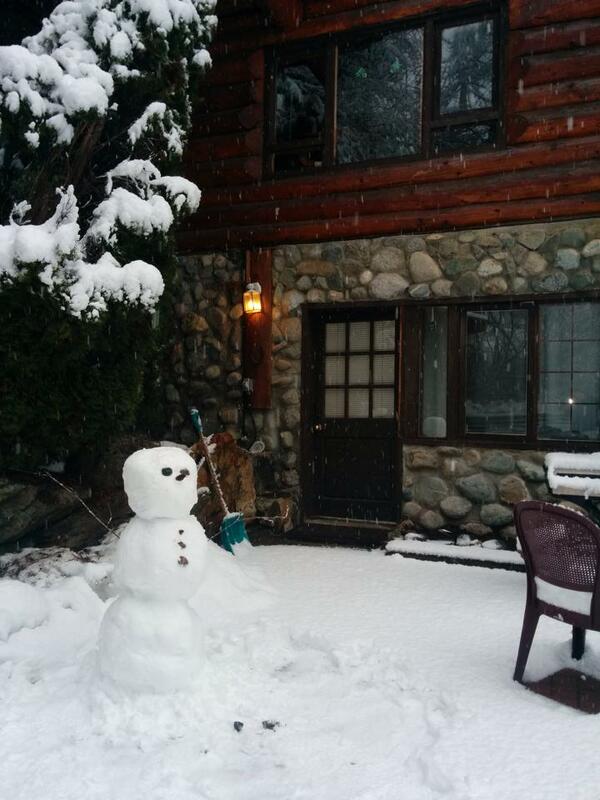 Whistler received 75 centimetres of snow, to be exact. This could be reason for skiiers and snowboarders to rejoice, as the slopes may open ahead of the scheduled opening date of Nov 24 this year, due to the plentiful early snow fall. The resort at Whistler Blackcomb isn’t making any promises and have not made any official announcements of moving the season’s opening date, but are considering the possibility. If the resort is to open early, representatives at Whistler say that there is a lot of preparation that needs to be done to make sure the mountain is safe. Last year in 2015, the resort had an excellent season which received a snowfall of over 1250 cm. The months with the heaviest snowfall last year were December and March which received 338cm and 318cm of snow respectively. According to the Canada West Ski Areas Association (CWSAA), ski resorts in British Columbia received 5.6 million visitors last season, which is a significant increase from 4.2 million visitors in the 2014 winter season. 2014 saw less visitors mainly due to a decrease in snowfall. Therefore, with the current outlook on snowfall this year, the season looks promising. Senior meteorologist Brett Anderson said that the weather closer to the cities will likely be a mix of rain and snow. As the temperature still has some time to get colder as we approach December and January, it’s likely that only the higher elevations in the mountains will receive show until then. 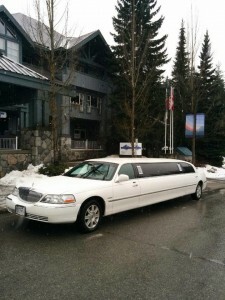 For visitors flying in from all over the world to take advantage of all the world class ski and snowboard hills at Whistler, KJ Limousine Services offers Vancouver’s best limo service from YVR to Whistler. Passengers can be picked up from anywhere in the lower mainland and transported directly to their exact destination in Whistler (along with their sports gear) in a range of vehicles. 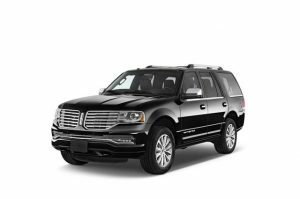 Choose from luxury vehicles including the Lincoln stretch limo, SUV, towncar, passenger van, shuttle bus, minibus and executive van. 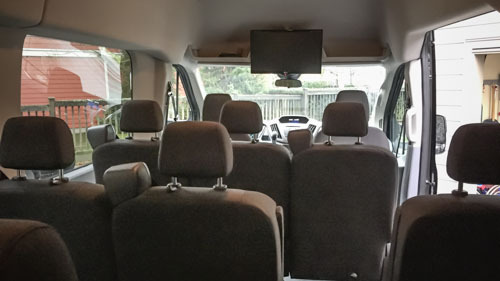 Rates vary for each vehicle and it is recommended to travel as a group for the best value, as rates are per hour per vehicle, not per person. 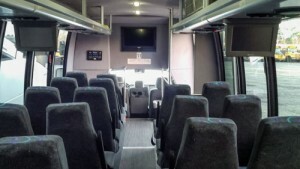 Savings are available for round trip bookings. 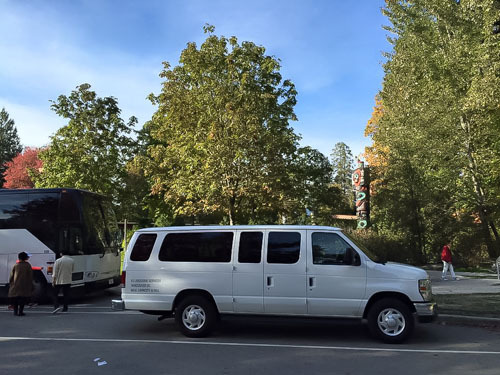 A complimentary 20 min rest stop is included with each trip to Whistler. 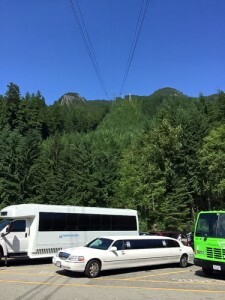 Recommended rest stop locations are at Shannon Falls, Squamish, or lookout points in between. This winter ski season is looking up and we may see an increase in visitors this year. 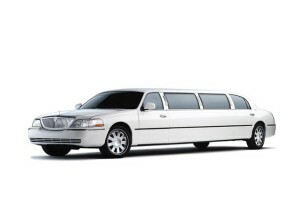 Be sure to book your limo early to avoid disappointment or unavailability. 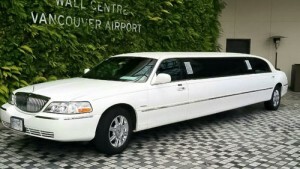 KJ Limousine Services Inc. launches a new website for its ongoing and growing limo services in Greater Vancouver BC. The new website features a clean, modern design, improved performance, redesigned layout for optimal conversion rates and an easy “tap to call” button on mobile devices. 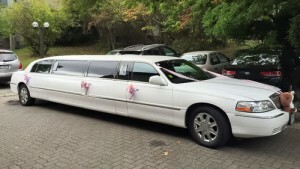 KJ Limousine Services Inc. has launched a brand new website at http://kjlimousine.com to represent its growing chauffeured limousine services, serving a wide variety of occasions in the Greater Vancouver area and as far as Seattle, Washington. Having just acquired a new vehicle to its growing fleet of luxury limousines, KJ Limousine Services Inc.’s new website launch comes at a timely manner to better serve its increasing customer base. Vancouver, British Columbia has become an increasingly popular world destination for tourists, travellers and a place to conduct business. 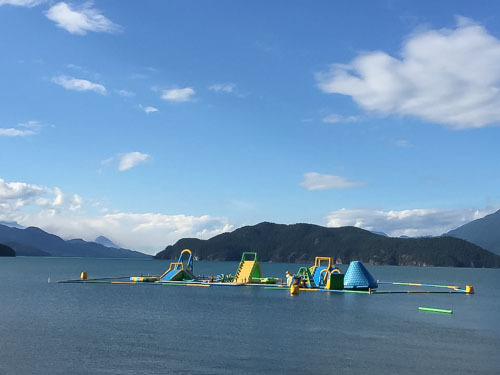 Tourism alone, in British Columbia, generated $13.9 billion in revenue in 2013 with Vancouver being one of the top tourist destinations and a major contributor to that figure. Visitors to Vancouver fly in from all over the world, requiring ground transportation from Vancouver International Airport (YVR), Bellingham International Airport (BLI) and even Seattle International Airport (SEA). Despite being in service since 2004, it wasn’t until the beginning of 2010 that KJ Limousine Services Inc.’s first website was built. The first website was operational for over 3 years until it was replaced by the second website in the middle of 2013. Finally, the new website which has just been launched replaced the second website which has been active for just under 3 years. Coincidentally, KJ Limousine revised its logo just a month earlier in mid February. 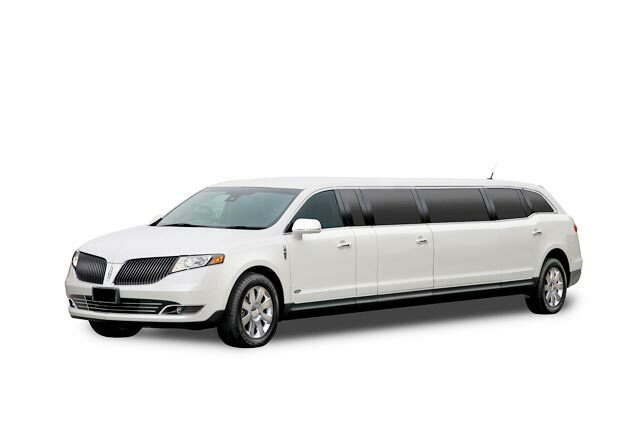 Along with a fresh, clean, modern design, KJ Limousine’s new website releases with many new improvements and features over the previous versions. The new website now utilizes a Content Distribution Network (CDN) which serves the website’s content to users with high availability and high performance, while also improving security for the website. The increased page loading speed will provide a better user experience and contribute to improved search engine visibility, due to website performance being a key ranking factor by search engines. The homepage of the website features one-page navigation which allows users to access a wide selection of content easily and quickly without leaving the homepage. Links on the home page go to separate pages with more in depth information about its specific services and vehicles. The entire website structure has been redesigned to reduce the number of pages with sparse content with the goal of having higher quality content on fewer pages. Again, this strategy aims to increase conversions, improve user experience and aid in search engine visibility. Efforts were made to make it easier for website visitors to take action, increasing conversions rates on the website. 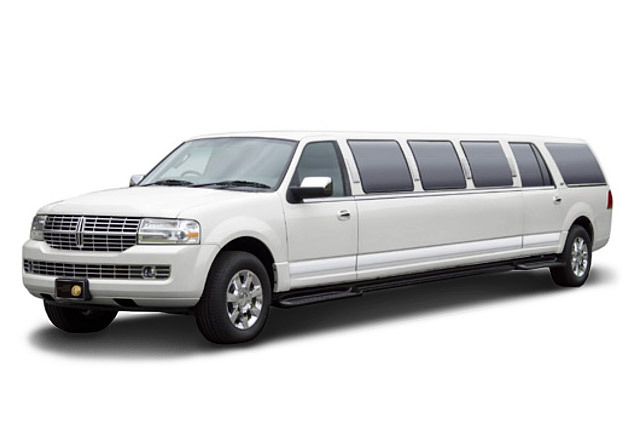 When viewed on devices with larger displays, a limo rental quote form is always present on all pages, fixed to the right-hand sidebar so that visitors can easily fill out the form and submit a quote request. A click-able phone number is always visible regardless of screen size. On larger screens, the phone number is fixed above the quote form in the sidebar. On mobile devices, an attractive “tap to call” button is fixed to the bottom left of the screen. 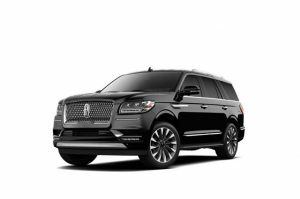 Tapping on that button automatically brings up the phone app with KJ Limousine’s phone number already entered in, ready to dial. Scattered throughout the content, eye-catching “calls to action” are placed at appropriate locations making it very easy for visitors to take action. 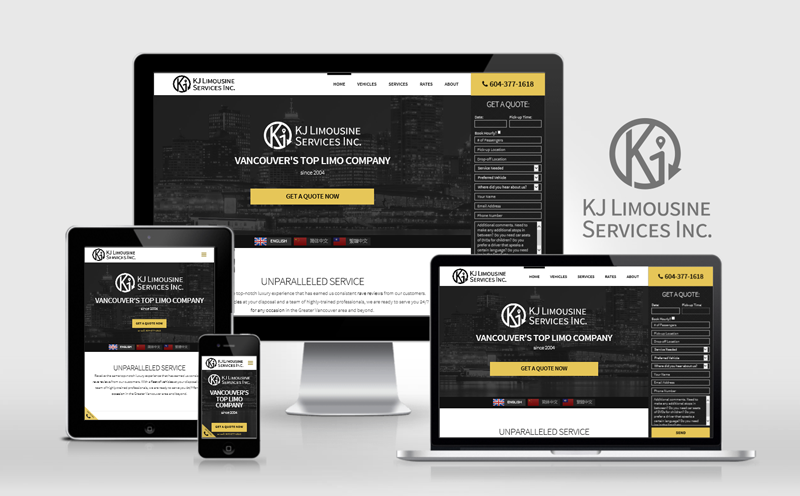 With the many improvements this new website launch offers, KJ Limousine in anticipating an improved user experience, increasing conversion rates, better search engine visibility and a more appropriate representation of its brand and services. KJ Limousine Services provides Greater Vancouver BC customers with professional chauffeured limo transportation services. 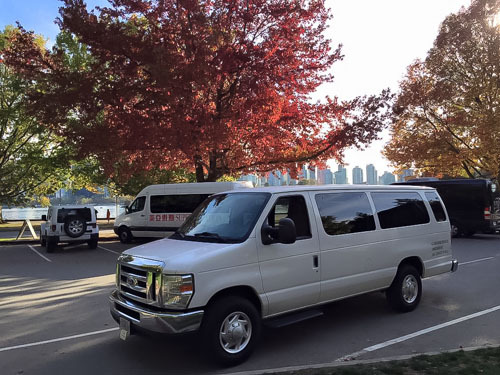 Our company specializes in YVR Airport Transfers, Transportation to Whistler, Wedding Limousines, Vancouver Sightseeing Tours, Cruise Terminal Transfers and more. 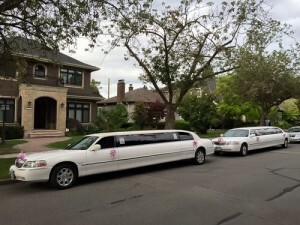 We have been serving the area for over a decade! 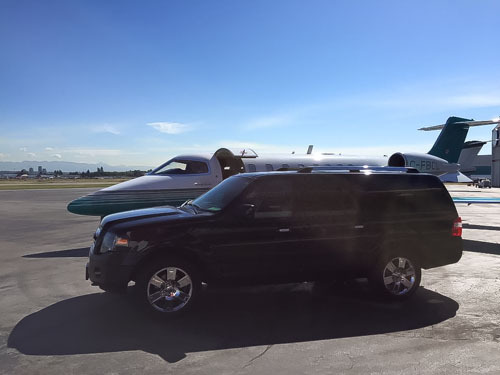 We look forward to serving you for all your luxury transportation needs. To get in touch with us, call us at: (604) 377-1618. When traveling, opportunities frequently pop-up that prompt us to shop. 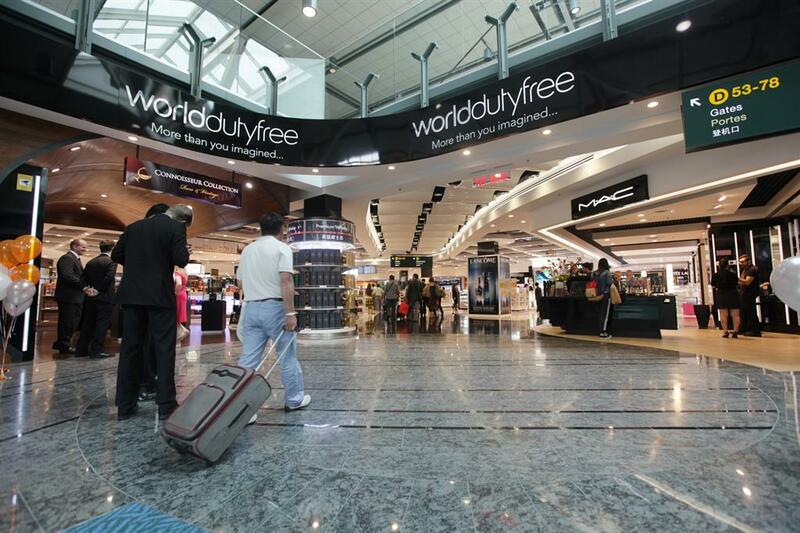 One of best opportunities for shopping when traveling are the duty free stores that line the sides of the pathway on your way to your departure gate. It’s really the perfect time to shop—you’ve got time to kill, you’ve got no where else to go, there are many shops to choose from, and it’s all duty free. Over the years, Vancouver International Airport has undergone many renovations and improvements to its facilities, including the variety and quality of stores it has to offer. If you make your way through security, experience short lines at the check-in and arrive at your gate early, you’ll have some time to browse all the shops. There’s a large selection of luxury brands from fragrance and fashion to cosmetics, liquor and souvenirs. Of these stores, the products that are most popular with travelers are the beauty, liquor and luxury products. There’s something for everyone at Vancouver International’s duty free shops. There’s over 1500 square feet of stores to shop at, making it the largest walkthrough store in North America. 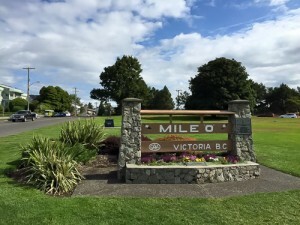 For those that like to kick back in luxury, as many of our clients do, there are two exquisite wine bars serving fine British Columbia wines, which also make great souvenirs to take home. Popular take-home souvenirs from Canada have proven to include: ice wine, maple syrup, smoked salmon and maple cookies. 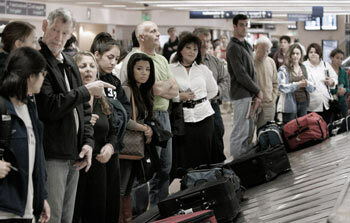 For travelers flying south of the border, Vancouver Airport has been working with the United States customs to allow passengers to clear customs before embarking on their flight, which allows travelers to purchase a wider range of products priced up to 400 dollars, whereas before policy restrictions limited the sale of items below $25. This is fantastic for the airport and its travelers, as the airport will be able to bring in many more products and services, allowing a richer duty free shopping experience for travelers. As a bonus, the stores are open 24/7, 365 days a year. The duty free shops at YVR and done in partnership with World Duty Free, the Italy-based multinational travel retailer. They operate in 21 countries with over 500 stores. 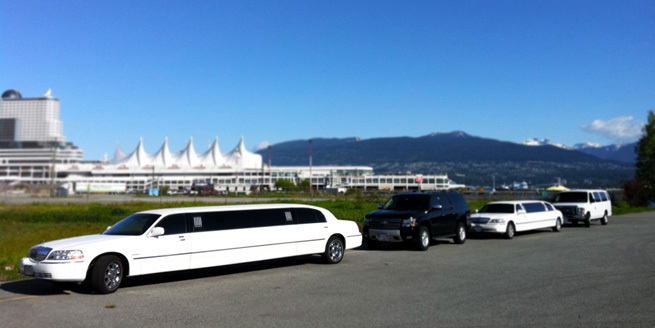 Whenever you’re in need of a lift from the Vancouver airport, feel free to call KJ Limo’s YVR airport limo service. If you’re wanting to take advantage of the duty free shopping at YVR Vancouver International Airport, you’ll want to make sure you mention to your limousine driver that you’d like to arrive at the airport early. 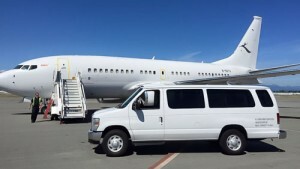 Some people aren’t aware that airfare can be hundreds of dollars cheaper (per person) by flying out of Bellingham or Seattle instead of Vancouver, not to mention potentially more non-stop flight choices to choose from. 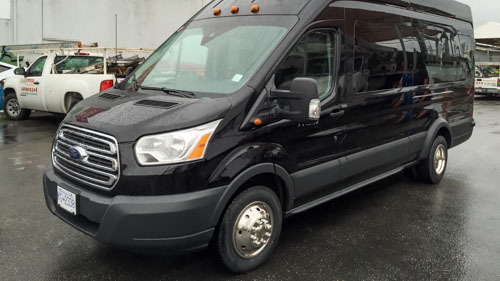 When travelling in a group and saving hundreds of dollars per person, customers of ours will often hire us to chauffeur their group from Vancouver to Seattle while stopping at the factory outlet stores in between so they can do some shopping. 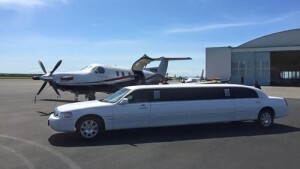 With a group of 8 people saving $300 each, their savings in airfare can easily exceed $2000, which allows them to pay for the limo service down to Seattle plus spending money of a couple hundred dollars per person at the outlets stores. 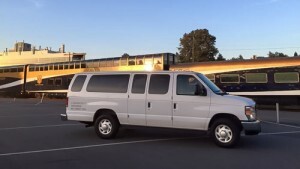 So, the next time you’re in Vancouver and you’re flying out with a group, check to see if there are cheaper and better flights flying out of Bellingham or Seattle and you might be able to arrange a free outlet shopping trip. KJ Limousine Services has been helping its clients get from one place to another in luxurious comfort and outstanding service in the Greater Vancouver area since 2004. 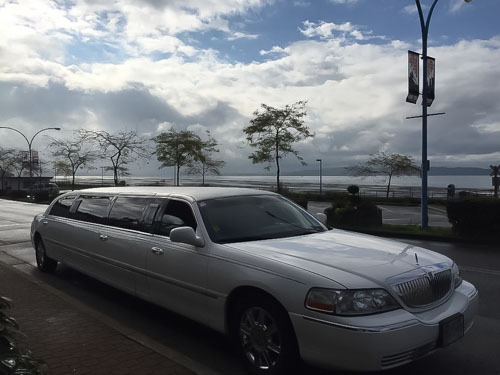 This includes cruise ship transfers, weddings, special events, concerts and limo services to and from Vancouver International Airport, where we offer an excellent meet and greet service. 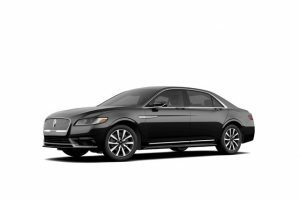 For our airport limo pick up and drop off service, we have a fantastic selection of vehicles available to our clients, depending on party size, budget, luggage requirements or simply personal preference. If you are ever in need of a limo or luxury vehicle service to/from Vancouver International Airport, Abbotsford, Bellingham or Seattle Airport, be sure to call KJ Limousine Services. 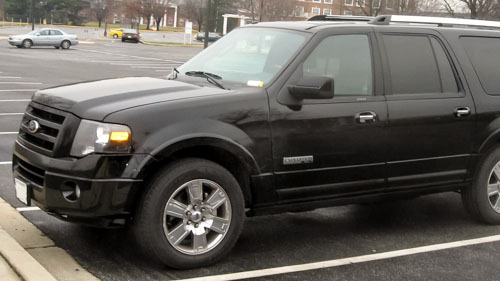 We’ve been serving clients for over a decade, we’re highly rated, and we do not disappoint. 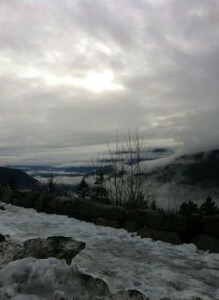 Like every year in Vancouver, the winter and early spring months have been typically gray, rainy and dreary. The less than ideal weather has kept people indoors, and tourists away. After much waiting, the weather has cleared up and the activities that we’ve been waiting to do for almost a year are finally upon us. Vancouver only has about 5 to 6 months of solid summer weather. It’s time for Vancouverites and visitors to Vancouver to make the most of this beautiful weather that we have. During this time, an abundance of fun activities await you. Businesses open up, food trucks flood the city, the parks welcome you with open fields of dry grass and more. If you’ve never been to Vancouver before, you’ve got to go to Granville Island. Granville Island is a peninsula located just southwest of Downtown Vancouver under the Granville St. bridge. At Granville Island, you’ll find plenty of things to do and see from unique shops run by local artisans, the public market with a wide variety of tasty foods to try, and shows to watch at the theaters. The PNE (or Pacific National Exhibition) is like a Fair and Theme Park rolled into one. There’s lots to do and see here for people of all ages. Ride on the many rides at Playland, check out all the exhibits, play the games at the carnival area or watch some of the special shows. If you love Shakespeare, live professional acting and nice weather, you’ll love Bard on the Beach, one of North America’s largest professional Shakespeare Festivals. The annual festival takes place on the waterfront of Vancouver’s Vanier Park. The festival takes place from June through September. 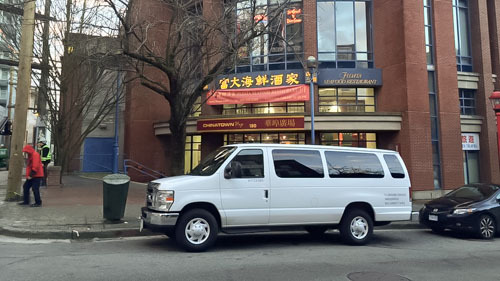 If it’s your first time in Vancouver, a sightseeing tour from the road is a great way to get a big picture of the many different areas of Vancouver. Get a taste of what Vancouver has to offer before you decide what you want to spend more time exploring in detail. We offer guided sightseeing tours of Vancouver and can even customize the route and locations to your interests. 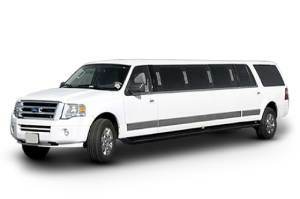 Of course, if you could use some stylish transportation to any of these places this summer, we at KJ Limousine would be happy to help you. 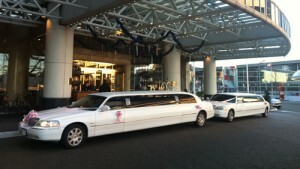 Feel free to get in touch with us and let us help make your summer in Vancouver a blast! 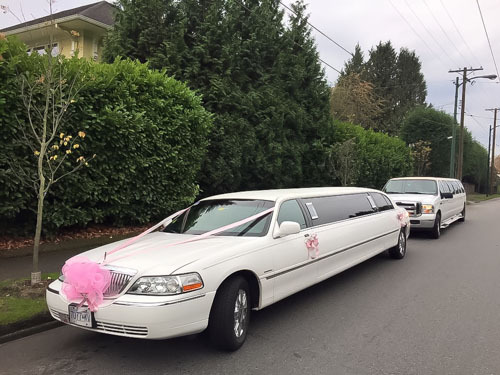 KJ Limousine Services proudly offers limo service to Greater Vancouver to destinations as far north as Whistler BC and as far south across the border as Seattle, Washington. 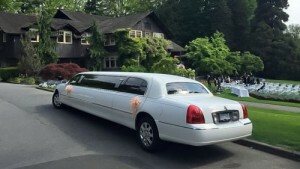 Between Whistler and Seattle, other popular locations include Bellingham and the Everett area. 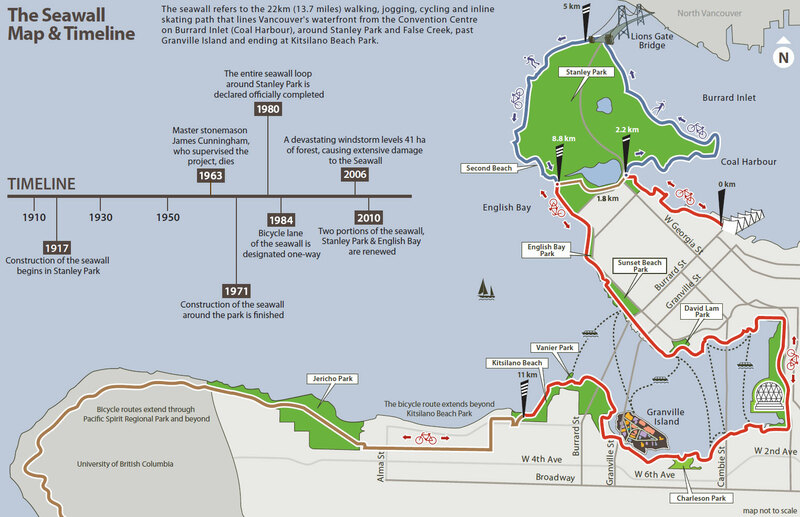 See the map below for an overview. 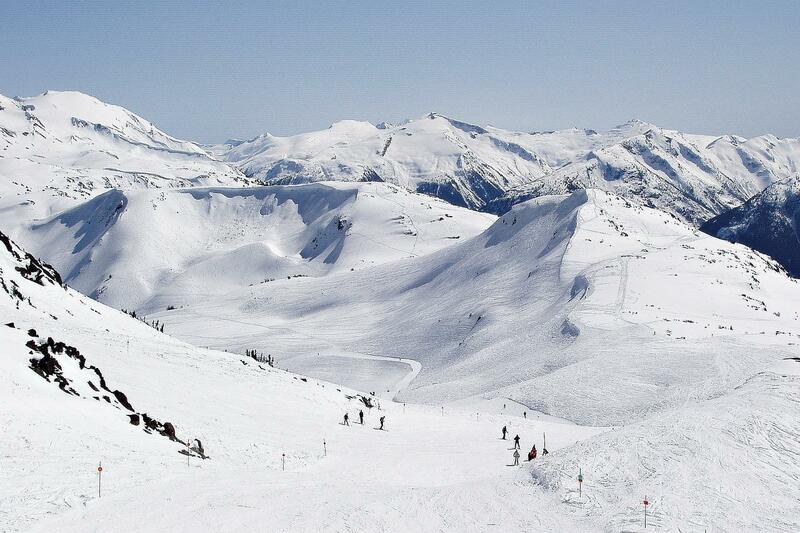 Whistler is a fantastic location to visit all year round. In the winter months, over two million people fly in from all over the globe to ski and snowboard on the slopes of Whistler Mountain or Blackcomb Mountain. Many of our customers receive transportation to Whistler for themselves and all of their sports equipment straight from YVR Vancouver Airport or locally in the Greater Vancouver area. The trip usually takes about two and a half hours. On the way there, we include a complimentary (yet optional) 20 minutes rest stop in the middle of the trip. Recommended rest locations include Shannon Falls or Squamish. The rest stop is a good time to stretch your legs, get some food to eat, use the restroom or take some group photos. 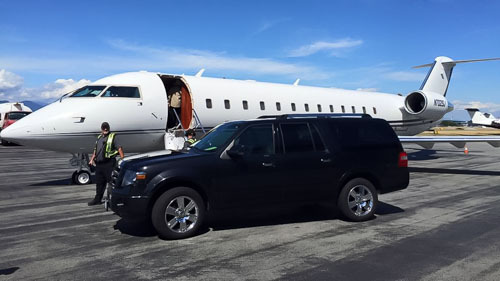 Unlike a bus service where you need to arrange your own transportation to get to the bus stop at a designated time, our curb-to-curb service takes you from the airport, your home or your hotel straight to your final destination—all at the time of your choosing. Clients often head to Bellingham to take a plane from Bellingham Airport. However, if you’re looking to do some quick cross border shopping on a day trip, Bellingham is a good option being only an hour and 1/2 drive away. There’s a lot of selection of brands and department stores at Bellis Fair mall, including Macy’s, Aeropostale, American Eagle, Target, Zales, Kohls, JCPenney and Sports Authority among many others. From Vancouver, you can leave after lunch and be back for dinner with a couple hours of cross-border shopping in between. If you’re not in the mood for shopping, there are other attractions in Bellingham including Camel Safari and the Glen Echo Garden. At Camel Safari, you can get up close to real camels and even take them for a ride. The Glen Echo Garden offers a 7 acre floral wonderland with 9 different themed gardens. 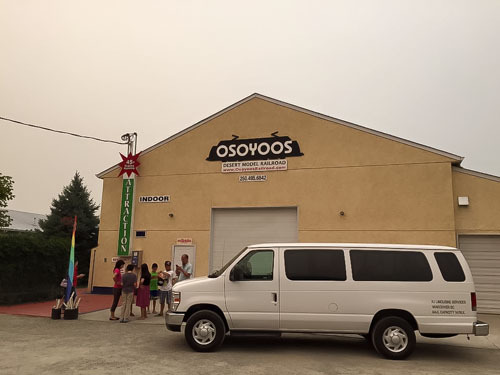 It’s a great place for tours, events or weddings. At just over 2 hours from downtown Vancouver is the Seattle Premium Outlets, a very popular place to do some big shopping at great prices. 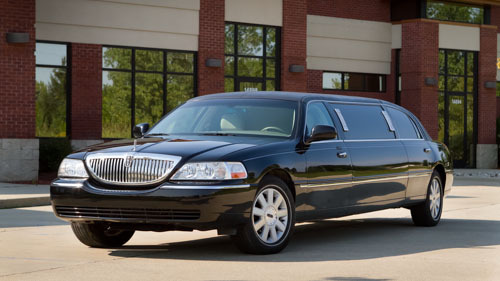 Taking a limo down to the premium outlets is great especially around peak shopping days, as parking and traffic can be extremely hectic. With a limo service, you get dropped off steps away from your favourite shops and you won’t have to worry about lugging all your bags around. 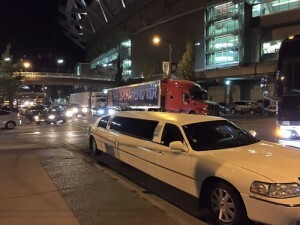 Just drop them off at the limo and keep shopping. 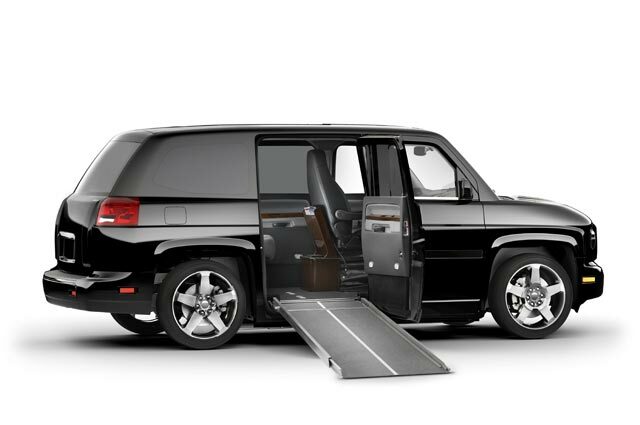 Your private chauffeur will be in the vehicle to keep your belongings safe. Although it takes just 3 hours to get to Seattle, we recommend making it a multi-day trip, unless you’re heading to Seattle to take a flight out. Either way, if you’re passing Bellingham and Everett and would like to do some shopping or sightseeing, just let your driver know and we would be happy to accommodate you. In Seattle itself, there is plenty to do… from visiting the famous Pike Place Market by the water, or the many world class museums in Seattle. 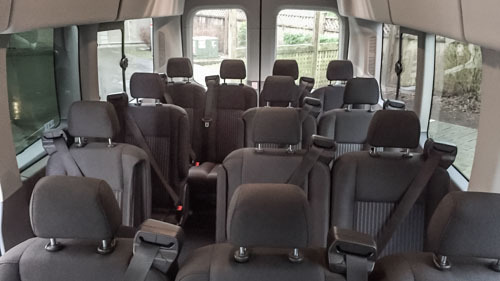 If you ever have any questions about the area or are looking for advice on activities, our drivers are very knowledgeable and are happy to offer their suggestions. 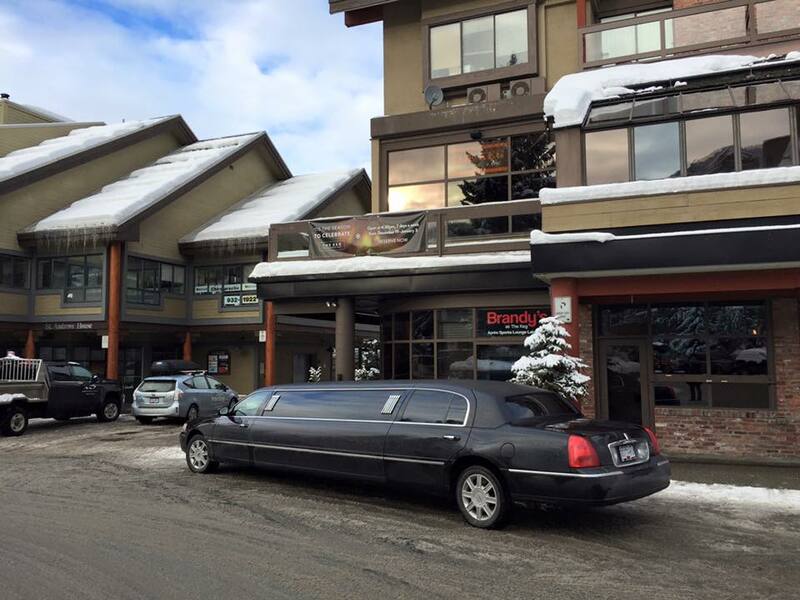 This post is getting out a little late, but it’s 2015 and well into the ski/snowboard season at Whistler. We’ve already done a lot of trips to Whistler this season. 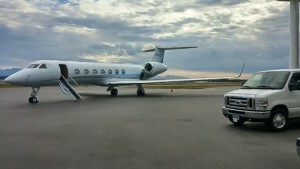 Below are some pictures from some recent jobs. 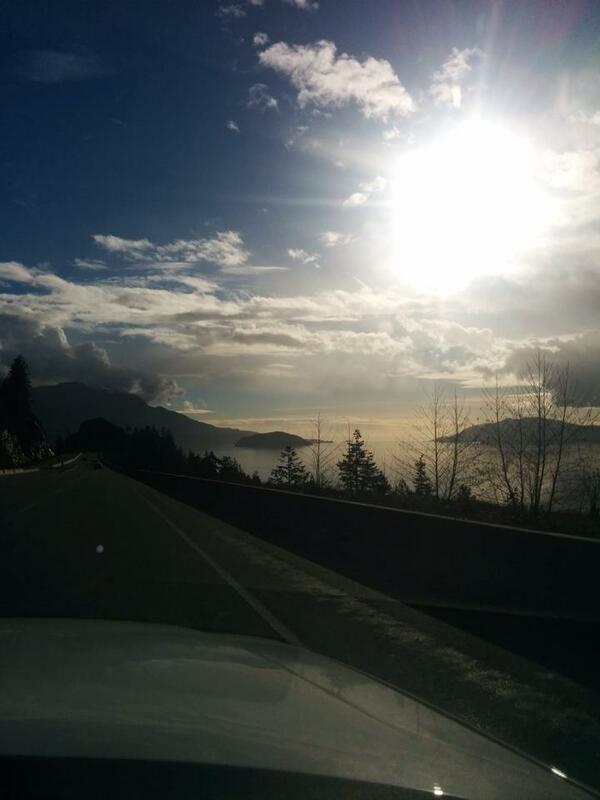 The pictures don’t really do the view justice, but it’s beautiful out there on the Sea to Sky highway. 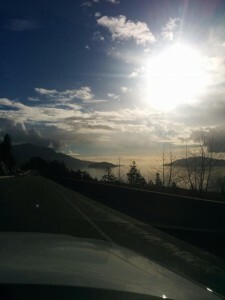 If you’re not familiar with the Sea to Sky Highway, it’s an incredible scenic drive with the mountain face on one side and the water and islands on the other side. The road is very windy and used to be more dangerous with narrower lanes. When the Winter Olympics came in 2010, much of the highway between Vancouver and Whistler was greatly improved, adding lanes and safety features. Of course, it can still be quite slippery when there’s snow and ice, so it’s always wise to drive with caution. 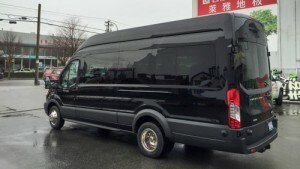 When heading up to Whistler, all vehicles under KJ Limousine Services are well maintained and outfitted with the proper tires to ensure our customers have a safe journey. The trip normally takes a little over 2 hours. 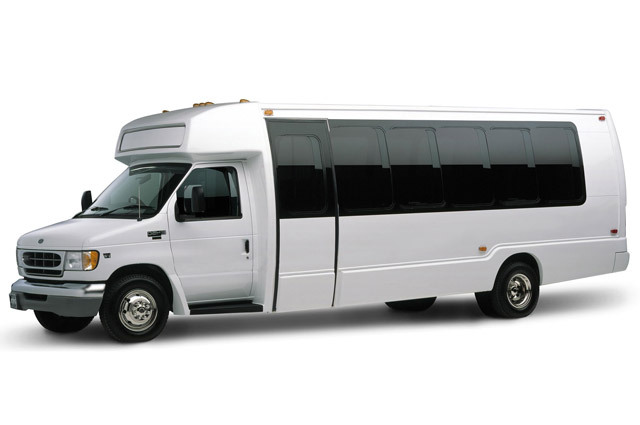 With our complimentary 20 minute stops in the middle of the trip, it comes out to about 2 and a half hours. We normally stop at the Tantalus Lookout point, pictured above, Shannon Falls or Squamish, depending on what the customer would like to do. Shannon falls is a good place to take group photos at the waterfall and stretch their legs. Squamish is great if they want to get something quick to eat. There isn’t any food at Tantalus, but the view of the water and islands is very nice. 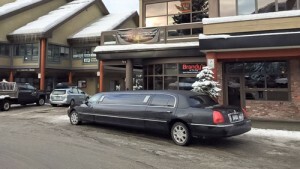 This year, we’re offering out Whistler Special again. 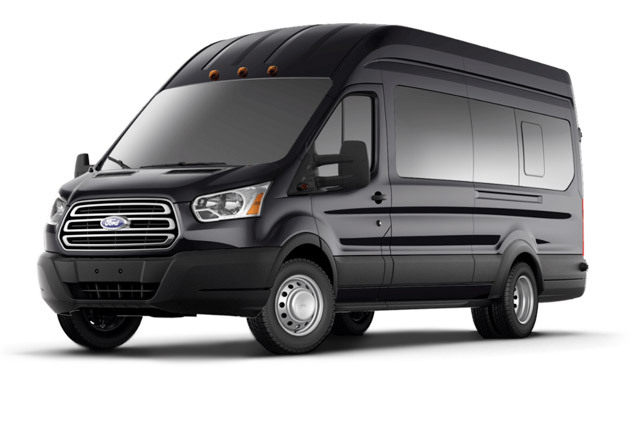 This time, we’re offering up to $100 in savings off of the regular price when the round trip is booked, depending on the vehicle. It’s already the new year, but it’s a great time to head up to Whistler if you’re going there to do some skiing or snowboarding. Of course, we also take people who are heading up there for many of the other great amenities available. 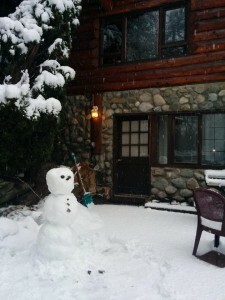 The winter season in Whistler started at the end of November 2014 and it’s currently the beginning of February 2015, so we’re about 3 months in. 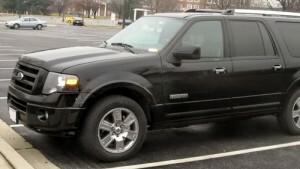 The season typically ends in April or May. We’re about half way through the season now, but there’s still about 3 months and plenty of snow to enjoy on the peaks. If you’re used to taking the bus or taxi to Whistler, try us out and see what we’re all about. If you’re going up with a group of people, the price may be very comparable to taking a bus or taxi (or possibly even cheaper), since we charge per vehicle, not per person. With a limousine company the service and convenience is also that much better. We’ll load your ski and snowboard gear for you, we’ll pick you up at your doorstep and take you to within steps of your destination in Whistler, and on your schedule. With a bus, you’ve got to find your own transportation to the station at the time designated by the bus company. 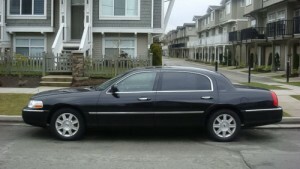 Feel free to give us a call if you have any questions: (604) 377-1618.